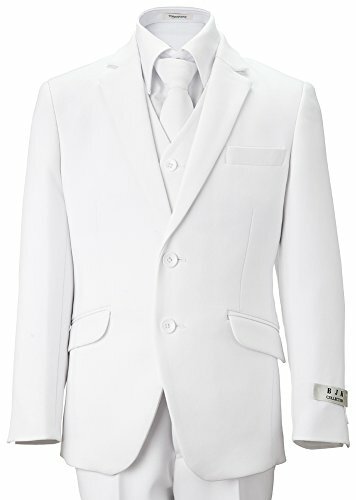 A white suit is the most traditional attire and is often a required dress code for a boy's communion. For many years boys have dressed in a white suit to celebrate this milestone. The Boy's Closets beautiful white suits are impeccably tailored and have a beautiful fit. Our suits will make your young man feel his very best and provide him with a look that will make you and him proud. If you have any questions about this product by BJK Collection, contact us by completing and submitting the form below. If you are looking for a specif part number, please include it with your message.